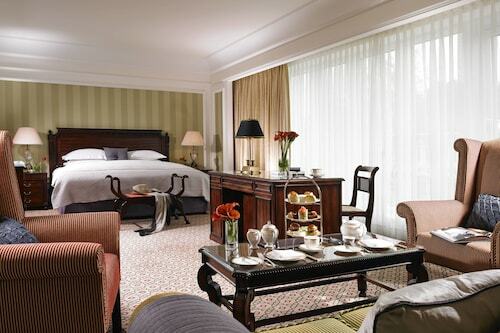 This family-friendly Enniskerry hotel is located in a rural location, within a 15-minute walk of Powerscourt Golf Club and Powerscourt Estate. Bray Beach and Powerscourt Waterfall are also within 6 miles (10 km). 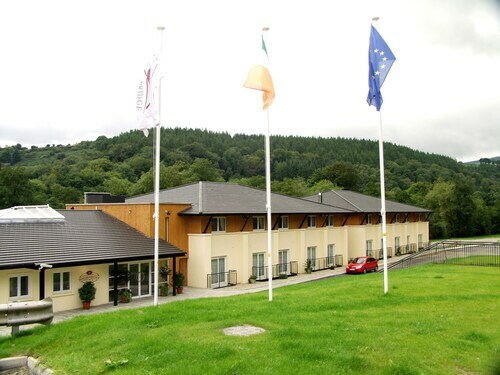 This family-friendly Newtownmountkennedy hotel is located in the mountains, within 3 mi (5 km) of Druids Glen Golf Club, Glenroe Open Farm and National Garden Exhibition Center. Bray Beach and Mount Usher Gardens are also within 9 miles (15 km). 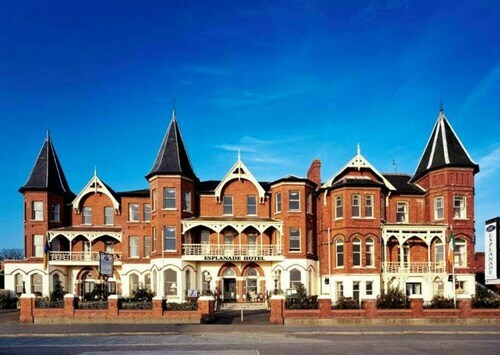 This family-friendly Bray hotel is located on the riverwalk, within 3 mi (5 km) of Bray Beach, Bray Head and Bray Golf Club. Powerscourt Estate and Dalkey Island are also within 6 miles (10 km). Dublin Bray Station is 6 minutes by foot. 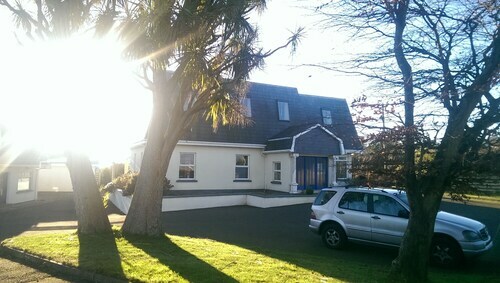 Offering direct access to the beach, this Bray hotel is within 1 mi (2 km) of Bray Beach and Bray Head. Bray Golf Club and Killruddery House and Gardens are also within 2 miles (3 km). Dublin Bray Station is 14 minutes by foot. Situated in Wicklow, this golf bed & breakfast is within 1 mile (2 km) of Wicklow Golf Club, Black Castle and Wicklow's Historic Gaol. Blainroe Golf Club is 2 mi (3.2 km) away. 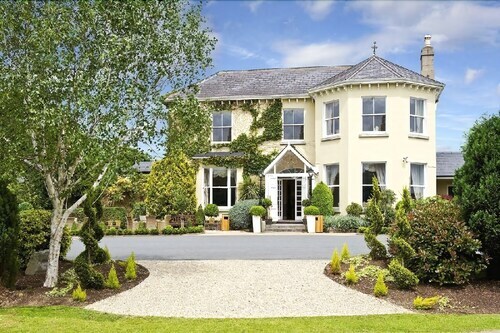 Situated in a rural location, this hotel is 2 mi (3.2 km) from Druids Glen Golf Club and 3 mi (4.8 km) from National Garden Exhibition Center. Wicklow Mountains National Park and Glenroe Open Farm are also within 9 miles (15 km). 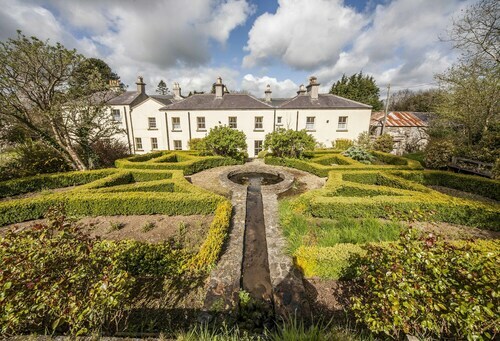 Set in Macreddin Village, this family-friendly hotel is within 9 mi (15 km) of Greenan Farm Museum and Maze, Mill at Avoca Village and Clara Lara Funpark. 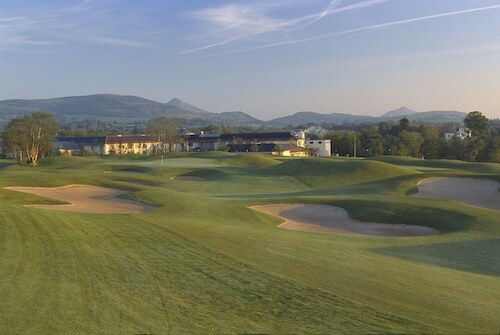 Lugnaquilla and Woodenbridge Golf Club are also within 9 miles (15 km). The capital town of Wicklow county is picturesque harbour town, Wicklow. Within easy reach of Dublin, Wicklow is a great platform from which to explore the stunning countryside of the surrounding area. 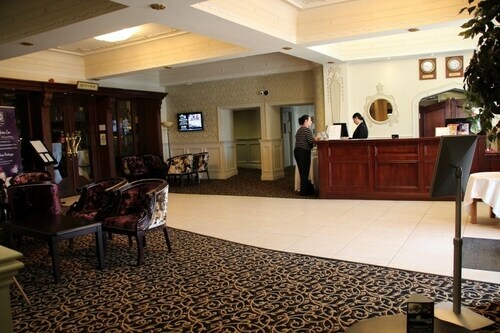 There is a great variety of hotels in Wicklow to choose from in locations such as the Quay area and the High Street if you want to stay central. Accommodation choices include lodges, grand period houses and up-to-date modern luxury with prices ranging from €55 up to around €140 for more luxury resort-type stays. There is no bad time to visit Wicklow, but outside of the summer season, spring is a particularly nice time to explore the outdoors weather-wise. 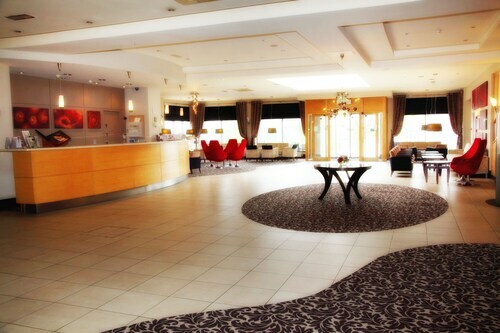 If it’s Wicklow hotels you’re after, let ebookers be your guide. Wicklow is the main hub from which to explore the county known to locals as the ‘Garden of Ireland’. Wicklow is also the gateway to the famous walking trail the ‘Wicklow way’, a spectacular 79-mile route taking in stunning scenery and historic sites. Forever looming over the town itself are the ruins of the Black Castle and to get an even better idea of the role this played in the town’s history, why not take a tour of Wicklow Gaol. Here you will see re-enactments of stories from past prison life, along with a more general introduction to aspects of Irish history you probably didn’t already know. If it's something more active you’re after, horse-riding, boating and golf are all possible, in spectacular local surroundings. As for eating and other nightlife, Wicklow boasts a fine array of cafes, pubs, restaurants and traditional Irish bars serving up local and international cuisine, bound to satisfy your culinary curiosity. And finally, if you’re in town in November you could check out the town’s storytelling festival. 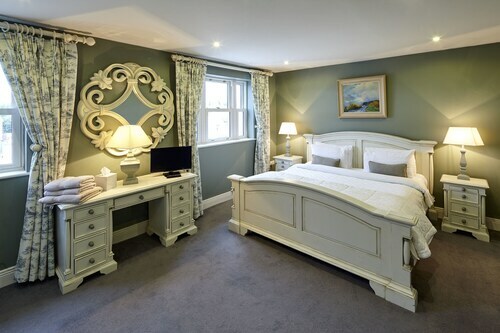 Whether you decide to kick-back and be pampered in one of Wicklow’s fine resort accommodations or you’re looking more for a budget base to explore, there really is something for everyone here in Wicklow. Hotels in Wicklow offer great opportunities for exploring a fantastic area of this part of the country, so whatever your accommodation preferences are, let ebookers be your guide. Helpful and friendly staff. comfortable old-style manor house. Great place for a wedding/ party! Standard 114 room looked very dull and tired, but comfortable. Plus big spotlight on window all night. 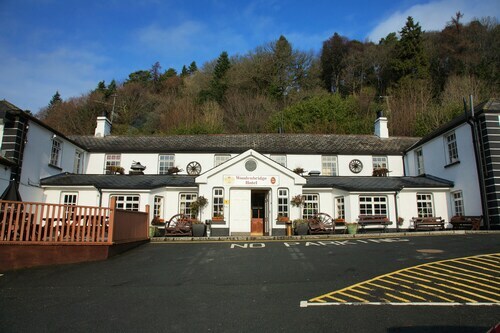 I would highly recommend Woodenbridge Hotel and Lodge. The staff were friendly and helpful. The food was delicious (even though the ribs were served on a ‘bread board’, I’d like a good old fashioned plate please). The bedroom itself was clean, plenty of space In the bathroom, however when the light is turned on, the extractor fan comes on too and does sound like a ‘tractor’....... Overall experience was excellent, I’d stay again. 6 months ago by A verified traveller from Cork. 6 months ago by A verified traveller from Donegal.